Gobbles makes a gobble sound. GUND has made him of onlythe finest and softest fabrics. He is 8" and can become a little ones friendor just a festive accent to the holiday table. 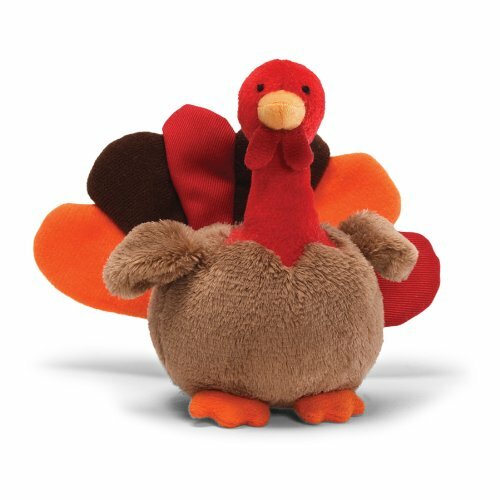 From the Manufacturer Gobblesmakes a gobble sound. GUND® has made him of only the finest and softestfabrics. He is 8â€ and can become a little ones friend or just a festive accentto the holiday table.